Coil booklets are an extremely useful form of binding, and they are particularly useful when the information inside the booklet needs to be easily accessed. In order to have wire and spiral coil booklets produced properly, you’ll want to work with a printer that has the right equipment and the experience necessary to handle the task. Reach out today for more information. What are Wire & Spiral Coil Booklets? As the name would suggest, wire and spiral coil booklets are publications bound on one edge by either a wire comb or a plastic spiral. This stands in contrast to other popular binding methods, such as perfect binding, in which the pages are actually bound together. With wire and spiral coils, the pages remain independent, which offers some specific performance advantages (discussed below). Not commonly used for books such as novels, coil booklets are a nice choice for things such as instruction manuals or cookbooks. The steps that are taken to create a coil booklet aren’t necessarily complicated, but they are a bit different than what happens with other binding methods. Of course, it all starts with the organization of the documents that are to be bound, which is how any binding task begins. With the materials printed and stacked, the work of bringing them together can begin. In coil binding, drilling a precise set of holes through the pages along the binding edge is a first step. Pages can then be held together using a wire comb or a plastic spiral. With the right machinery, and the right people working those machines, this is a task that can be completed in a relatively short period of time. At BIP Printing Solutions, we can offer large run spiral and wire coil booklet printing to our clients. Pages lay flat. It is easy to access the information in a coil-bound booklet. Each page exposes itself completely to the reader, hiding nothing on the inside edge. This is great when the information contained in the booklet is informational in nature and the user needs to see every detail. As mentioned above, instruction manuals are commonly bound this way, and for good reason. Once opened to the right page, the booklet will clearly display everything that needs to be seen. Pages stay open. This is an advantage when referencing the same page(s) is necessary, such as in teaching or cooking. This is a point which speaks specifically to markets such as instruction manuals, cookbooks, etc. If the reader is going to want the book to remain open for a long period of time on the same page, that will be no problem at all. The booklet can simply be turned to that page, laid out on the table, and left alone. Rather than trying to set something on the book to keep it held open, the user can just lay it out and get on with their project. Durability advantages. There is no ‘spine,’ at least not in the traditional sense, to damage or wear out when you opt for coil binding. The wire or plastic spiral that guides the opening and closing of pages should easily last as long as the pages themselves. 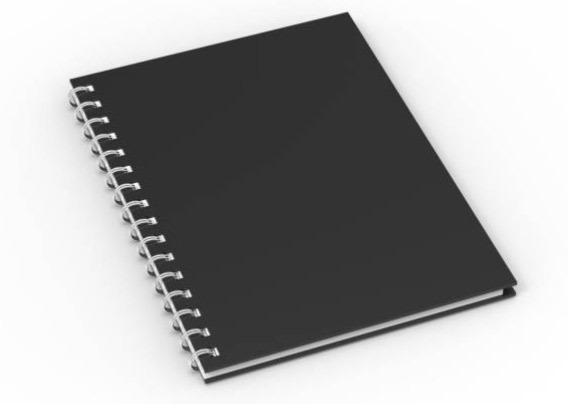 Spiral binding is going to allow a book to be used over and over again without any durability concerns. By this point, it should be clear that wire and spiral coil binding is a great option for a variety of project types. But is it right for your next job? We can help you make that decision. Contact us right away to discuss your upcoming project and our team will be happy to help you bring it to life. From the type of binding you should use to the cost of the job, the timeline, and more, we can bring everything into focus. Thanks for taking the time to consider BIP Printing Solutions, and we are excited to serve you!